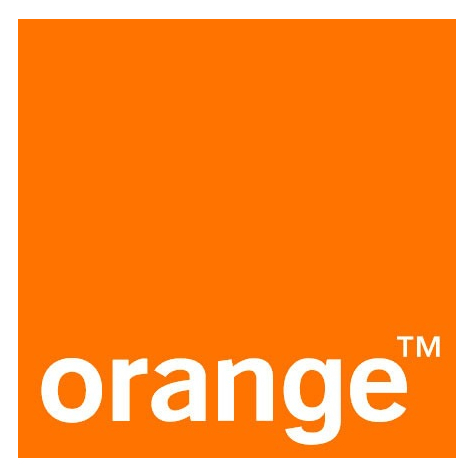 Prepaid Sims for Orange Israel now Available on mrsimcard.com! Traveling to Israel with your unlocked GSM phone, iPhone, iPad, Android, or tablet just got easier. An Orange Israel sim card with super low cost calling rates for use in Israel, mean you can stay connected to friends and family without painful roaming charges. The process is simple. Order your Orange Israel sim from mrsimcard.com. When the order is processed, we will ask for your arrival date in Israel. Your activation is scheduled for 2 to 5 days before arrival in Israel. You arrive Isral, insert the sim and enjoy low cost calls, sms, and 3G data. 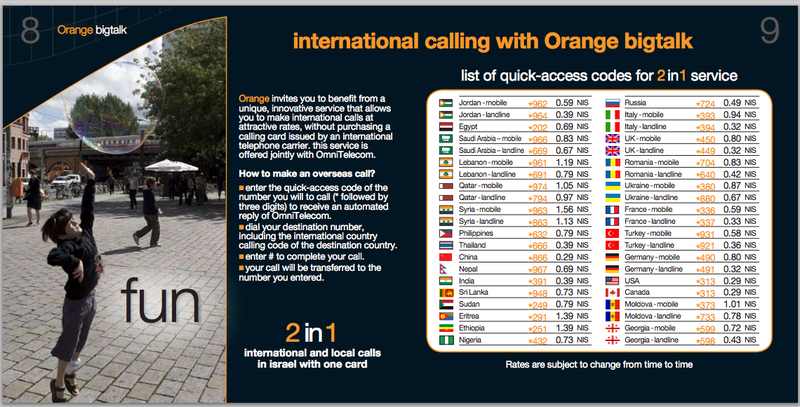 Orange has a unique service that allows customers to make international calls without purchasing a calling card. Just enter the quick access code of the country you want to call (* followed by three digits) to receive an automated reply from Omni telecom. Then dial your international number and # to complete the call. Your international call will then be processed. See the list of quick access codes. With the Orange network in Israel, 3G service is prevalent, so using Skype, Viber, Tango, Voxer or your favorite voip application for international communication is a breeze. Standard sims and micro sims are available. If you’re one of the poor and unfortunate tech-deniers of the world, then chances are you’ve not got GPS in your mobile phone. Or a mobile phone. 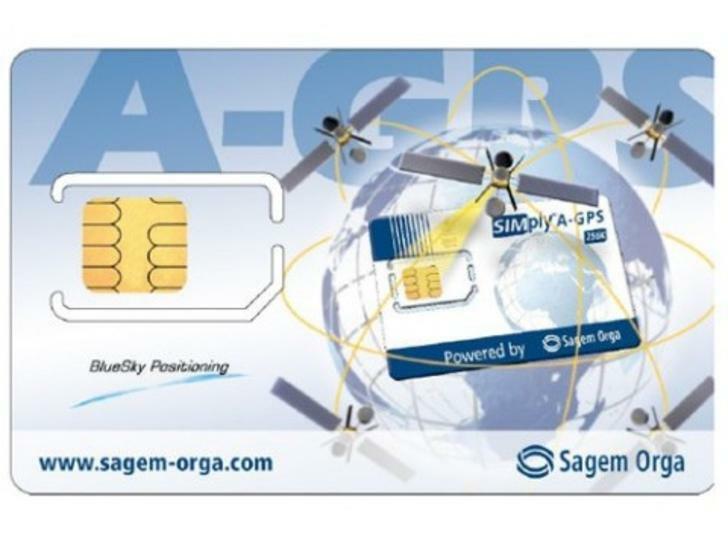 But help is at hand from Sagem Orga (as long as you actually do use a mobile) as it has developed a SIM card with a-GPS baked right in, negating the need for all the fancy pants handsets. Originally developed to help the emergency services, allowing them to find out where the caller is phoning from, Sagem Orga has been approached by a number of mobile operators to upgrade users. It’s not yet known whether it will cost more or less than having the hardware already on the phone, nor do we know whether the signal will be stronger / weaker. But it is a great idea for getting location-based services to a wider range of people, though how much handsets will need to be changed to accommodate the new service. MRSIMCARD.COM begins offering Digicel Grenada Sim cards for sale in North America. HERNDON, VA (November 18, 2008) – OOMOBILE, Inc. | MRSIMCARD has begun offering Digicel Grenada sim cards and airtime refills in North America. Visitors to the islands and returning residents may now purchase a sim card and or refills for Digicel Sim products from http://www.mrsimcard.com. Use Digicel’s GSM network and benefit from free incoming calls, free incoming text messages and low cost international calling from Grenada worldwide. The user can dial direct when calling internationally. It’s just that simple. Visitors to the Island’s beaches will benefit from this arrangement as they may now purchase a sims prior to travel, which ensures a local number prior to arrival on island. This eliminates the need to fumble about trying to determine if a handset is unlocked, or trying to find a vendor to sell a sim card. International communication is now in hand. MRSIMCARD also provides topup service for Digicel Sim Cards. Anyone can topup their sim card prior to travel, or even send refills to friends and family back home. Digicel is incorporated in Bermuda and has operations in twenty-three markets, including Anguilla, Antigua & Barbuda, Aruba, Barbados, Bermuda, Bonaire, Curaçao, The Cayman Islands, Dominica, El Salvador, French Guiana, Grenada, Guadeloupe, Guyana, Haiti, Jamaica, Martinique, Grenada , St. Lucia, St. Vincent and the Grenadines, Suriname, Grenada, Turks & Caicos and El Salvador. Digicel also has coverage in St. Martin and St. Barths. The company is the lead sponsor of Caribbean sports teams including the West Indies Cricket Team, Special Olympics teams across the Caribbean and is title sponsor of the Digicel Caribbean Football Union Cup, which involves over 30 Caribbean countries and is an important qualifier towards the CONCACAF Gold Cup. For more information, visit http://www.digicelgroup.com. Q. Martin lives in Montreal and drives to Florida twice a year to visit relatives and of course enjoy the warm Florida sunshine. He needs a sim card that is prepaid and will allow him to call back to Montreal to check on his business there. A. We suggest Red Pocket Mobile available here. Red Pocket Mobile combines amazingly inexpensive service on the new AT&T’s nationwide network with Asia-centric calling features, which range from free or discounted long distance to Asia calling either from your Red Pocket Mobile phone or even a landline…to your own number in Asia. All this with no contract, no surprises and no worries. With Red Pocket Mobile, you get a sim card with which China, Hong Kong, Taiwan, Singapore, Canada, and the USA are local calls. No Long Distance charges to these places from anywhere in the USA. .10c per minute with $100 refill. Domestic and international text messages are .10c per. International rates are among the lowest in the industry. The Red Pocket Sim allows Martin to call Canada without long distance charges so he is never far from home. The sim card works on AT&T’s network in the USA. MRSIMCARD.COM begins offering Digicel Trinidad & Tobago Sim cards for sale in North America. HERNDON, VA (November 12, 2008) – OOMOBILE, Inc. | MRSIMCARD has begun offering Digicel Trinidad & Tobago sim cards and airtime refills in North America. Visitors to the islands and returning residents may now purchase a sim card and or refills for Digicel Sim products from http://www.mrsimcard.com. Use Digicel’s GSM network and benefit from free incoming calls, free incoming text messages and low cost international calling from Trinidad & Tobago worldwide. The user can dial direct when calling internationally. It’s just that simple. Visitors to the Island’s luxury resorts or business persons in the nations petroleum sector will benefit from this arrangement as they may now purchase a sims prior to travel, which ensures a local number prior to arrival on island. This eliminates the need to fumble about trying to determine if a handset is unlocked, or trying to find a vendor to sell a sim card. International communication is now in hand. Digicel is incorporated in Bermuda and has operations in twenty-three markets, including Anguilla, Antigua & Barbuda, Aruba, Barbados, Bermuda, Bonaire, Curaçao, The Cayman Islands, Dominica, El Salvador, French Guiana, Grenada, Guadeloupe, Guyana, Haiti, Jamaica, Martinique, Trinidad & Tobago , St. Lucia, St. Vincent and the Grenadines, Suriname, Trinidad & Tobago, Turks & Caicos and El Salvador. Digicel also has coverage in St. Martin and St. Barths. MRSIMCARD.COM – Launches Digicel Turks & Caicos Sim Sales in the USA! HERNDON, VA (October 10, 2008) – OOMOBILE, Inc. | MRSIMCARD has begun offering Digicel Turks & Caicos sim card and airtime refills in North America. Nationals of the Turks & Caicos Islands living in the United States will now be able to purchase Digicel Sim Cards for only $29.99 prior to traveling home for Christmas Vacation or the Summer Break. Visitors to the Island’s vacation spots are set to benefit from this arrangement as well since they can now purchase a Digicel Turks & Caicos Sim Card prior to vacationing in Turks & Caicos. Its a relief to leave for vacation and have a local number that works the moment you land. The office, family members and loved ones can reach you the moment you arrive, and best of all you will enjoy Free incoming calls offered by Digicel Turks & Caicos. Sim Cards purchased from MRSIMCARD have an extended shelf life of 24 months to facilitate to travel periods of users traveling to and from the Turks & Caicos Islands. Eddie Lloyd of OOMOBILE | MRSIMCARD said “Our partnership with Digicel is groundbreaking in scope as we intend to sell Digicel in all destinations served, and will have the unique ability to TopUp Digicel Products as they are added to the Digicel Group.” Customers can call OOMOBILE | MRSIMCARD at +1-703-953-2272 to refill their Digicel Prepaid Sim and even to send refills to friends and family back home. Caribbean merchants are also encouraged to call such that they can become retailers of Digicel Sim Products. Digicel is incorporated in Bermuda and has operations in twenty-three markets, including Anguilla, Antigua & Barbuda, Aruba, Barbados, Bermuda, Bonaire, Curaçao, The Cayman Islands, Dominica, El Salvador, French Guiana, Grenada, Guadeloupe, Guyana, Haiti, Turks & Caicos, Martinique, St. Kitts & Nevis, St. Lucia, St. Vincent and the Grenadines, Suriname, Trinidad & Tobago, Turks & Caicos and El Salvador. Digicel also has coverage in St. Martin and St. Barths. MRSIMCARD.COM – Now Launches Digicel Jamaica (USA)! HERNDON, VA (October 10, 2008) – OOMOBILE, Inc. | MRSIMCARD has begun offering Digicel Jamaica sim card and airtime refills in North America. Jamaican’s living in the United States will now be able to purchase Digicel Sim Cards for only $29.99 prior to traveling home for Christmas Vacation or the Summer Break. Visitors to the Island’s vacation spots are set to benefit from this arrangement as well since they can now purchase a Digicel Jamaica Sim Card prior to vacationing in Jamaica. They are given the option of setting up a special International calling plan offered by Digicel. This calling plan gives the user 1000 minutes to use for a period of 30 days to cal the USA, Hong Kong, Canada, and UK land lines at a reduced rate of $0.01USD cent per minute. This is far better than the $2.00USD per minute roaming rates offered by T-Mobile and AT&T USA for international roaming. Sim Cards purchased from MRSIMCARD have an extended shelf life of 24 months to facilitate to travel periods of Jamaican’s abroad. Jamaican’s can also TopUp Digicel Prepaid lines or even send airtime to relatives in Jamaica, Guyana or Haiti at www.mrsimcard.com. Simply visit the site and select Digicel TopUp. Increments of 25.00 are possible. Digicel is incorporated in Bermuda and has operations in twenty-three markets, including Anguilla, Antigua & Barbuda, Aruba, Barbados, Bermuda, Bonaire, Curaçao, The Cayman Islands, Dominica, El Salvador, French Guiana, Grenada, Guadeloupe, Guyana, Haiti, Jamaica, Martinique, St. Kitts & Nevis, St. Lucia, St. Vincent and the Grenadines, Suriname, Trinidad & Tobago, Turks & Caicos and El Salvador. Digicel also has coverage in St. Martin and St. Barths.